More winter options from NSW. Nike's Sneakerboot range apparently knows no bounds, as another classic sneaker from the brand's archive is being repurposed into a winter model. 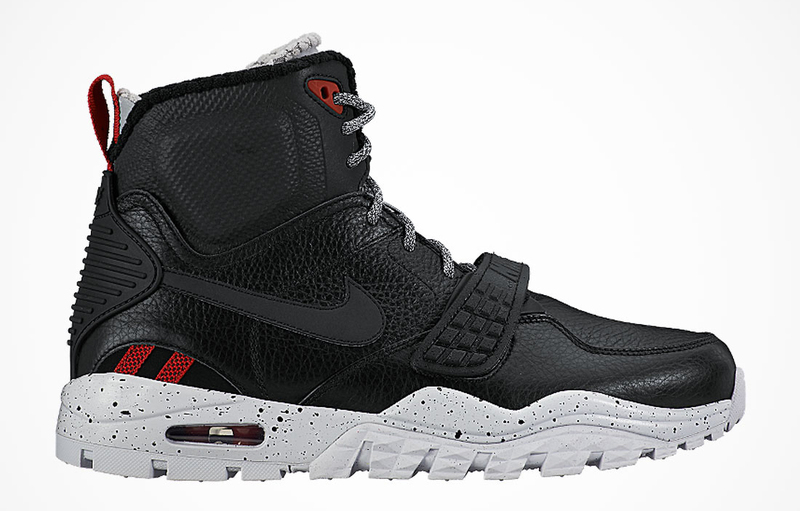 This time around it's the Nike Air Trainer SC 2, a Bo Jackson favorite, that's getting the treatment. The upgrade offers chunkier soles and a higher-than-usual cut. The model will be introduced a black leather pair and a "Wheat" one, both shown here. 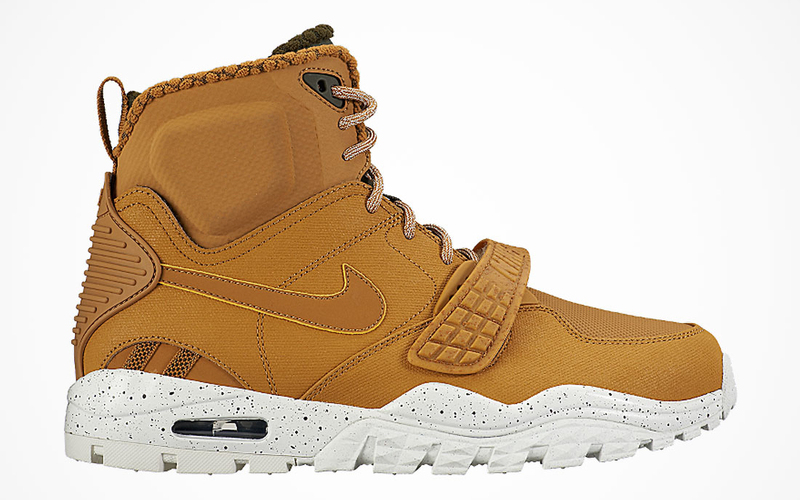 These Nike Air Trainer SC 2 Sneakerboots haven't released yet, but should show up in stores come November.